Yesterday was my first opportunity to “gavel” a Board meeting since becoming Acting Chairman in April. We met to deliberate on the NTSB report on the crash of Asiana Flight 214 in San Francisco last July. The report was the result of a nearly year-long investigation. The experience was a reminder of just how thorough this agency’s investigations are. As in previous accident investigations, they left no stone unturned. They examined the crew’s routines before and during the flight. They looked at the design features of the airplane. They dissected the call-outs heard on the cockpit voice recorder and discussed the call-outs that were not made. They looked for every possible contributor to the accident. And, they looked at what worked and what didn’t to help people survive the crash. This included both cabin safety and emergency response. As we deliberated, it struck me once more how important our mission is – preventing mishaps that can cause so many people to suffer injuries, some of them extensive and life-changing. We were discussing what safety advances allowed so many to survive. And sadly, we were discussing how three young women lost their lives. This is the second time I have served as a Member of the NTSB. The first was from 1990-1993. My present stint began in 2009. Like my fellow Board Members, I have always felt the strong need to get our accident reports and recommendations as close to perfect as possible. Anything less would short-change the sterling work that our investigators do. It would do a disservice to those who lost loved ones, and to those who suffered injuries. But getting it right might means something even more important. It might mean preventing a future accident. It might mean saving lives when a future accident does happen. 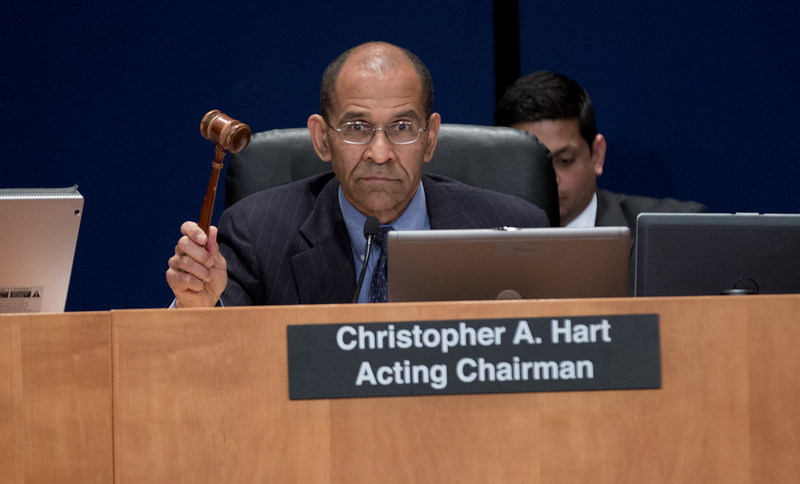 As a Board Member, I’ve watched former NTSB Chairmen wield the gavel with poise and purpose. For all the reasons I’ve mentioned, it’s heavy when you first pick it up. The dais looks different from the center chair. But the experience also reminded me of what the Board has accomplished to date. Past Board recommendations have led to advances in cabin safety. For example, seats that can withstand 16 times the force of gravity and fire blocking materials almost certainly saved lives in this accident. Nevertheless, the crash of Asiana Flight 214 – like so many accidents – demanded a full discussion of multiple factors which led to fatal mistakes. The final manifestation of all of those factors was that the pilot did not fully understand how the airplane’s automated features interacted. He relied on the auto-throttle to maintain speed, not knowing that he had inadvertently deactivated the auto-throttle. This accident also demanded a full discussion of a tragedy that happened after the crash. In the chaos of the crash site, Aircraft Rescue and Firefighting personnel knew that seconds counted. The airplane was on fire. They did not know whether or when the fire might suddenly intensify. Much of their work was exemplary. They pulled five people from that burning cabin. But as they rushed to save lives, their vehicles rolled over a passenger who had been ejected from the airplane. Yesterday, the Board adopted more than 25 recommendations addressing both the crash and the post-crash response, and all the factors surrounding them. If our recommendations are acted on, the commercial aviation industry, which already has an exemplary safety record, will hopefully continue improving its safety – just as it has been doing since I first served as a Member back in 1993. The accident happened at rush hour on Monday, June 22, 2009. A stopped train was struck by a following train with such force that the rear car of the stopped train physically intruded into the lead car of the moving train. Fifty-two people ended their rush hour commutes not at home with their families, but in local hospitals. Nine more people lost their lives: A young entrepreneur, an Air Force major general and his mortgage-banker wife, the operator of the moving train, and five others. What caused the crash? A track circuit lost the ability to detect the stopped train. So, the system failed to warn the following train that the track ahead was occupied. However, because the stopped train was on a curve, the sight distance was limited, so by the time the operator of the following train saw the stopped train and activated the emergency brake, it was too late. We made recommendations not only to WMATA, but to others as well. Among them: the manufacturer of the faulty train control equipment, other transit agencies using the equipment, and the Federal Transit Administration. Before the accident, there were problems with the safety culture at WMATA. There was an enhanced track circuit test procedure developed after an earlier incident that was never institutionalized system-wide. When technicians installed new track circuit components, they noticed that the circuit was sometimes malfunctioning, but left it installed in that condition. A crew leader reported the problem to the maintenance operations center, but nobody acted on it. When the stopped train became electronically invisible, there was a warning on WMATA’s central dispatch board, but the warning occurred so often that it was ignored. On the following train, where the warning should have occurred, there was no warning. 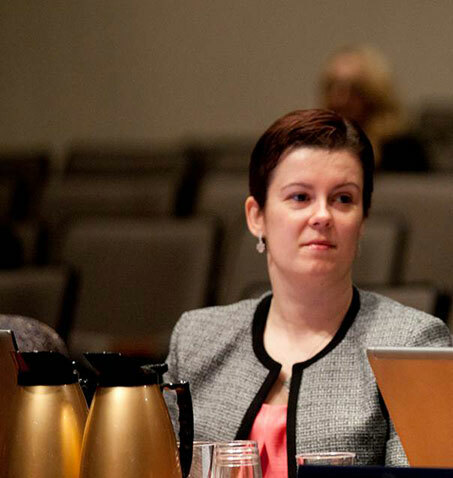 WMATA managers placed a low priority on addressing such malfunctions. WMATA has improved its safety culture in the five years since. Statistically travel by rail is safe. In and around Washington, WMATA is working to make it safer. But safety is a journey, not a destination. This year WMATA introduced its new 7000 series cars, with the most enhanced safety features and design in the WMATA fleet. 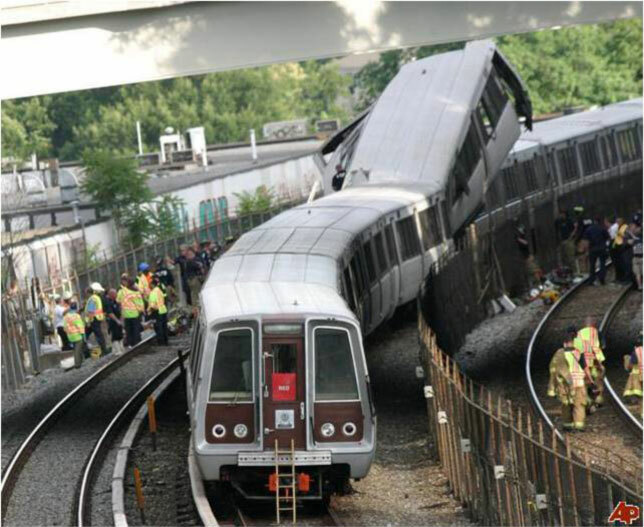 We look forward to the day when WMATA retires the less crashworthy 1000 series cars forever. And WMATA is far from the only transit or commuter rail system where there have been recent accidents. In 2008 and 2014, there were mass transit accidents involving Chicago Transit Authority trains. In 2008 there was a fatal Metrolink accident, in Chatsworth, CA, because the train operator was texting. There were five accidents involving trains in the Metro North commuter rail system in a one-year span. When you step onto a train headed to or from work, shopping, or the airport, you deserve to know you’ll arrive safely at your destination. That’s why “Promote Operational Safety in Rail Mass Transit” is on our Most Wanted List of advocacy priorities. WMATA’s actions since the crash, and the actions it takes in the future, will be living memorials to those who were lost. If you would like to know more about the people lost in the accident, the Washington Post compiled these profiles. If you have memories of that day please share them, using the “comment” link at the top of this post. Whenever someone asks where I work, it takes me a moment to decide whether I’ll say “NTSB” or give the full name, “National Transportation Safety Board.” Some people know what “NTSB” means. Maybe they’ve heard a reference on television or in a movie. Maybe tragically, they’ve been in or related to someone who has been in an accident that we’ve investigated. Or lived in a community where the accident occurred. Most of the time, though, I get almost a deer-in-the-headlights look, especially if the person isn’t from DC. When I start to explain what NTSB does, there often seems to be an unspoken question. Why would the federal government create a nonregulatory, independent agency to investigate transportation accidents and share lessons learned? Transportation connects people, goods, and services. One hundred and fifty years ago, it would have taken days or even weeks to send and receive mail. Relatives who moved out west rarely, if ever, saw those they left behind on the East Coast or in Europe. Trains, automobiles, and then planes brought us closer together. Along with ships, these modes of transportation allow us the flexibility to visit other continents within hours, receive mail from relatives half way around the world, and get supplies from local stores that are stocked with “just-in-time” delivery. Transportation is ingrained in our daily lives; when everything goes right, we don’t even think about it. However, when something goes wrong, such as a bridge collapse, an airplane crash, or a train collision, the effects can be devastating to people and communities. Safe transportation requires an ongoing commitment. In 1967, the federal government made that commitment to safe transportation when it created my agency. Congress envisioned that a single organization with a clearly defined mission could more effectively promote a higher level of safety than individual modal agencies working separately. That mission – Independently Advancing Transportation Safety – means we focus exclusively on what will prevent crashes, reduce injuries, and save lives, without consideration for economic or political considerations, and that we do so as an independent and transparent agency. Nelson Mandela once said, “What counts in life is not the mere fact that we have lived. It is what difference we have made to the lives of others that will determine the significance of the life we lead.” Every day I come to work with approximately 400 colleagues, all of us looking for ways to make a difference for each of you traveling in America’s transportation system. In our agency’s 47-year history, through our investigations, studies, recommendations, and advocacy, I believe we have made transportation safer. And someday I believe we’ll work ourselves out of a job. What a privilege it is to serve! 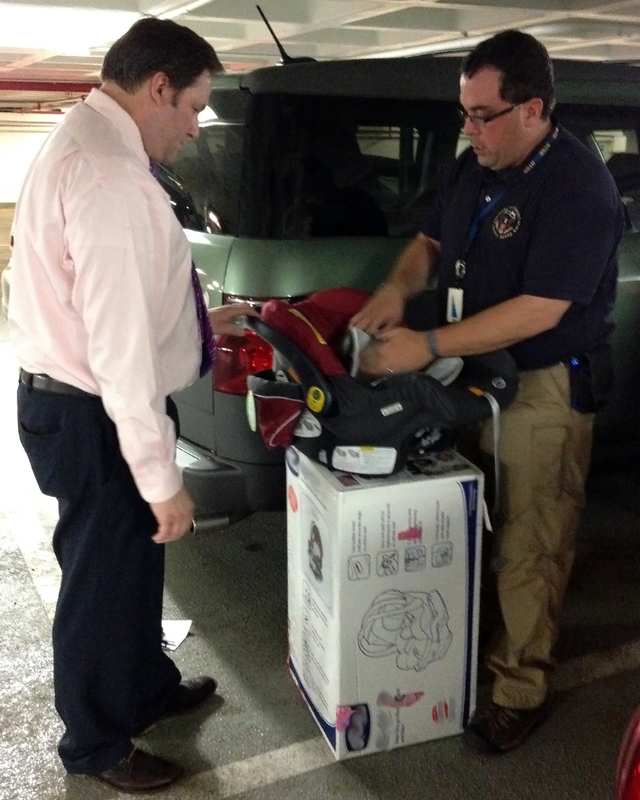 NTSB Investigator and CPS technician Dennis Collins walked us through the process of properly installing our child safety seat. Father’s Day has taken on new meaning in my home, as my husband, Mike, and I prepare to welcome our first child in late June. Becoming first time parents can feel overwhelming with all the important decisions that need to be made, but we assumed that at least one thing would be simple for us: the selection and installation of a child safety seat for our car. After all, I’ve worked in the traffic safety field for several years. Surely, I’d know just what to do when it came to choosing the best child safety seat for our daughter. Like many things with first-time parenting, we had no idea what we were getting into. What seemed like a simple idea – choosing the safest seat for our child – was actually really confusing. There are various styles of child safety seats (infant seats, convertible seats, and booster seats) made by dozens of manufacturers, all with different features and prices. I wondered how we would make the best choice. We quickly learned that all seats sold in the United States must meet minimum safety standards, so anything available on the market will provide protection when properly installed and used. It’s most important to choose a seat that’s right for your child’s age and size, that fits in your vehicle, and that can be properly installed and used. Once we made our choice of a seat, we were faced with what we thought would be the daunting task of installing it properly. It’s estimated that 73 percent of child safety seats are not installed or used correctly, and incorrectly installed or improperly used seats don’t provide the intended protection in the event of a crash. Correctly used child safety seats can reduce the risk of death to children by as much as 71 percent. We weren’t willing to take a risk with our child’s safety, so we sought help getting our seat installed. Enter NTSB Human Performance Investigator Dennis Collins. Not only is Dennis a seasoned investigator in our Highway Safety division, he’s also a Child Passenger Safety technician and trainer. He’s been professionally trained on how to install all varieties of seats in just about any type of passenger vehicle. * Perhaps even more importantly, Dennis is a father of five, so he understood our desire to have the seat properly installed. Dennis walked us through the process of installing the seat and demonstrated how to use all its features. Thanks to Dennis, Mike and I both feel confident that we can ensure that the seat stays properly installed and use it so we get the maximum safety benefit for our child. With our new child safety seat properly installed, there’s just one thing left: waiting for our baby to make her arrival. * Click here to find a certified Child Passenger Safety Technician or seat check resource near you. In the early morning hours of Saturday, June 7, 2014, the NTSB learned of a multiple‑ vehicle accident on the New Jersey State Turnpike near Trenton, New Jersey. The crash reportedly involved a Walmart tractor-trailer combination vehicle that struck the rear of a limousine bus. The impact initiated a chain-reaction crash involving six vehicles. During the crash, the limousine bus overturned and one occupant was killed; four others were injured. The NTSB launched a team of investigators to New Jersey. The investigative team will conduct a safety investigation to determine what can be done to prevent similar tragedies in the future. Although we will be working in close coordination with the New Jersey State Police, our investigation will focus on safety issues and will be separate from the ongoing criminal investigation. One area our investigators will look at closely is the safety of commercial truck operations. During the past year, the NTSB has responded to numerous crashes involving large trucks. 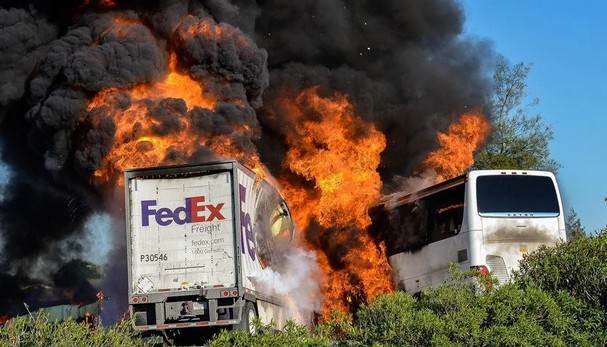 Most recently, on April 10, 2014, NTSB investigators were launched to Orland, California, to investigate an accident in which a FedEx Corporation tractor-trailer combination vehicle left Interstate 5 southbound, crossed a center median, and entered the northbound travel lanes. The FedEx truck collided with a motorcoach carrying high school students on a trip to visit Humboldt State University. In the Orland crash, 10 people were killed and over 30 were injured. In addition to the Orland, California, investigation, the NTSB has recently responded to accidents in Illinois, Maryland, Tennessee, and Kentucky that were initiated by commercial truck drivers’ failing to stop for slowing traffic ahead. This summer, we will be releasing the findings of two other major commercial truck crashes. One involved a truck transporting an oversize load that struck the Skagit River Bridge in Mount Vernon, Washington, resulting in a bridge span collapse. The other involved a truck that collided with a CSX freight train in Rosedale, Maryland, resulting in the derailment of the train, a postcrash fire, and an explosion. The upward trend in crashes, fatalities, and injuries involving large trucks is a cause for concern. Since 2009, the number of fatal large truck crashes has steadily increased. In 2012, there were about 333,000 large truck crashes, which resulted in 3,921 deaths and more than 104,000 injuries. Of those killed, about 73 percent were occupants of vehicles other than the large truck. The NTSB has a long history of making safety recommendations to the Federal Motor Carrier Safety Administration, the National Highway Traffic Safety Administration, and the trucking industry regarding the safety of trucking operations. These recommendations address important areas of concern, such as motor carrier oversight, vehicle maintenance, truck driver fatigue, medical qualification of drivers, and the need for collision avoidance technology. Too often, responses to our recommendations have been slow or, in some cases, nonexistent. It should not take additional crashes and loss of life to inspire change. 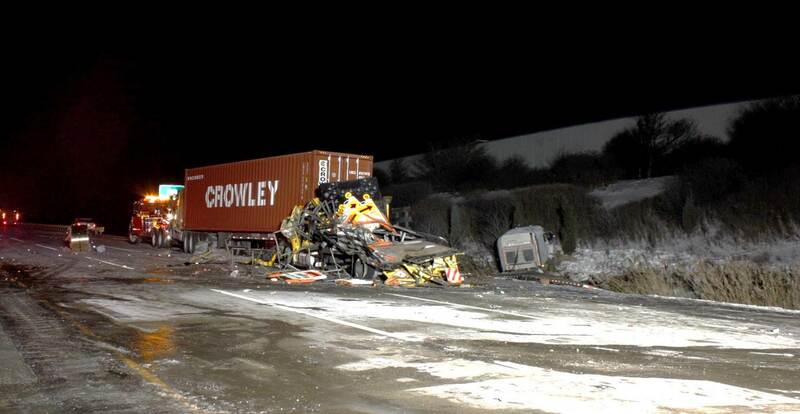 We hope to learn from our investigation of this recent crash on the New Jersey State Turnpike new ideas and approaches that will ultimately improve the safety of commercial trucking operations. Don Karol is the director of the NTSB Office of Highway Safety. Helicopters are amazingly unique and versatile aircraft. They need no runways to take off or land. They can hover over a crime scene. They can pick up a crash victim from a remote accident site when minutes count. They can fly low and slow for visual inspection of pipelines, or set a crew down on a rooftop or an oil rig. And because helicopters are so unique, they encounter different safety issues than fixed-wing aircraft. Helicopter safety is a big issue for the NTSB. 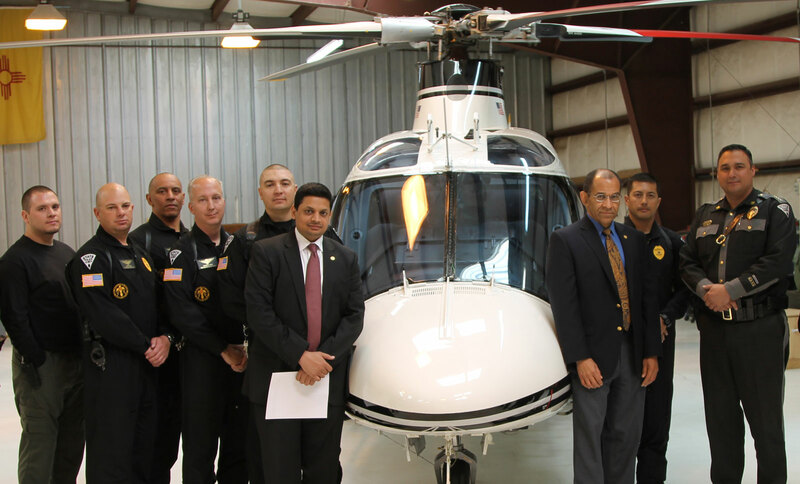 The use of helicopters in this country is increasing rapidly, and helicopter safety efforts have to keep pace. That’s why I was pleased to see a helicopter operator learn from experience, albeit tragic experience, and make safety a priority. On June 9, 2009, a New Mexico State Police Helicopter crashednear Santa Fe, New Mexico. The NTSB investigated the crash and made three recommendations to the New Mexico State Police to help prevent a recurrence. But the New Mexico State Police didn’t just focus on our recommendations. I found out why when last month, I met members of the New Mexico State Special Operation Aircraft Section who lost a fellow officer in the accident. The New Mexico State Police Helicopter Squadron has not forgotten their fallen officer. Instead, since the accident the squadron has put considerable effort into improving its safety culture. Enhanced mission planning and detailed mission briefing. improved coordination with ground assets. After an accident, a strong response like the New Mexico State Police’s helps to prevent a recurrence. And by learning from the robust measures that the New Mexico State Police has put in place, others can hope to avoid another tragic loss. Safety is more than showing up or speaking up. It is also about taking steps that may save a life before a fatality happens. If you work in a helicopter operation, how is your safety culture? What improvements can you make? Don’t wait to lose one of yours. Learn from the New Mexico tragedy and carefully consider today the steps that could improve your safety culture to ensure a safer mission now and in the future. 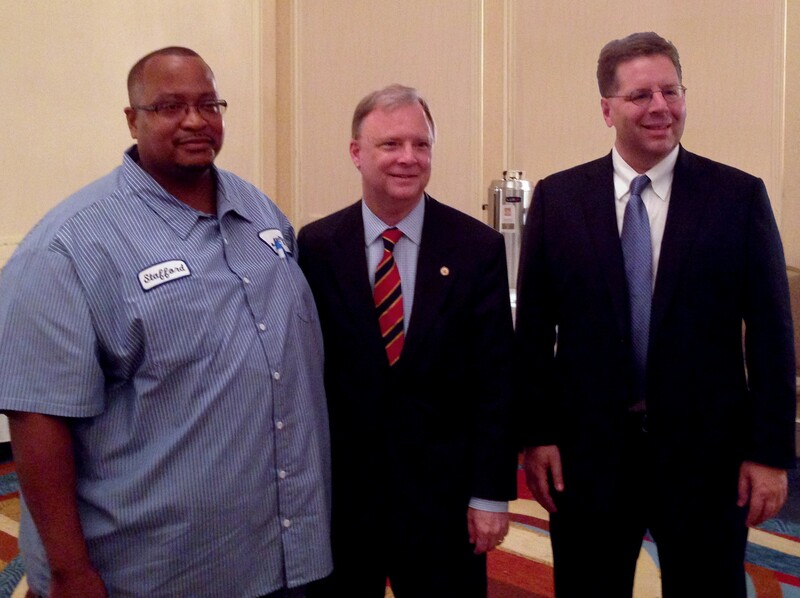 Member Robert Sumwalt (center) with Jetco Delivery driver, Stafford Wilson (left) and Jetco president, Brian Fielkow (right). On May 29, I was honored to participate in the Houston Transportation Safety Day. The event was sponsored by Texas Trucking Association, Port of Houston, Jetco Delivery, and Great West Casualty Company. The event was attended by leaders and customers of Houston’s transportation community, and discussion topics centered on building a culture of safety and the critical role of leadership in ensuring safety. Brian Fielkow, president of Jetco Delivery, affirmed that good safety translates into good business – one that can be felt on the company’s bottom line. Jim Schultz discussed his real world experience with turning around the safety practices of a large trucking company – one that ultimately lowered OSHA reportable injuries by about 76% and reduced workers’ compensation payouts by over $70 million per year. We’re talking real dollars saved! To put a finer point on the relationship between safety and the financial bottom line, I highlighted a domestic auto manufacturer’s recall of 14 million vehicles this year. So far, estimates place these recalls at costing nearly $2 billion, including the highest fine in US history for a set of recalls. These financial figures say nothing of the potential loss of goodwill to the company, either. So, yes, real world experience bears out that good safety performance translates to good business. As a driver, Stafford also recognized that good safety means good business, which translates to job security. He noted that transportation companies with good safety performance keep their existing customers happy and attract new customers. If you’ve been one to think safety and financial performance are dichotomous, think again.